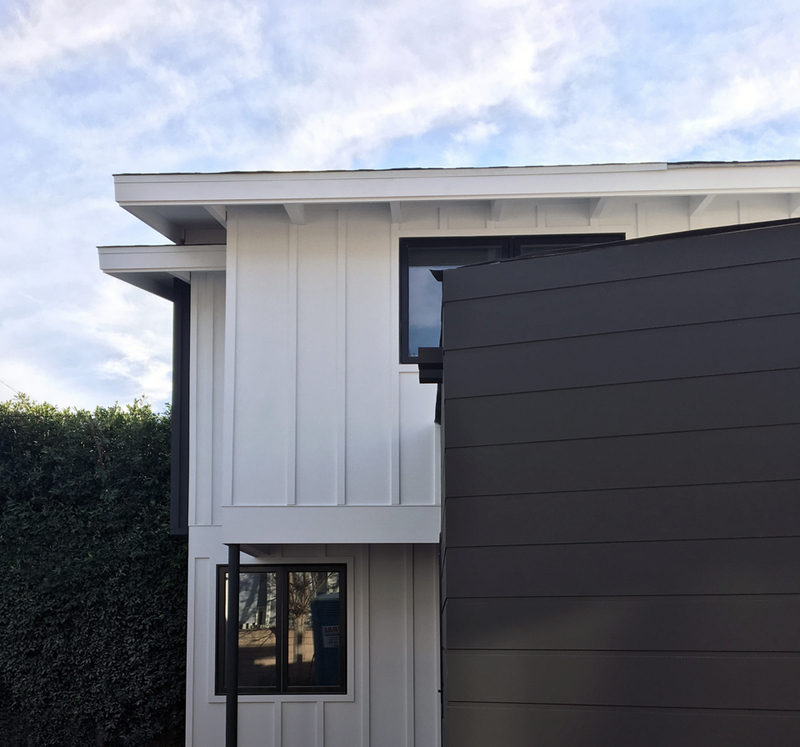 The exterior design incorporates wide, horizontal siding alongside traditional board and batten for a playful juxtaposition of scale and form at the asymmetrical flat-roofed addition, with the contrast further underscored by the bold black and white palette. Black accents frame the architecture at the metal windows and doors and exposed structural steel, while plywood adds visual and textural warmth at the new entry vestibule. We're looking forward to sharing more of this eclectic, contemporary beach cottage soon. In the meanwhile, find more progress images at previous posts and our facebook project gallery, and keep an eye on the construction gallery page for the latest photos.